Image Caption:Figure 1 – (a) Schematic of a fully grouted ideal tendon (b) inside view of a tendon with large voids and corroded strands. The use of post-tensioned (PT) concrete systems results in fast and cost-effective construction of high-rise buildings, railway/highway bridges, power plants, etc.. The PT strands placed in plastic ducts, which are embedded inside concrete elements function like a backbone of these structures. In abroad, high performance grouts (HPG) with excellent flow properties and resistance against segregation/bleeding are used to fill the interstitial space between the PT strands and the plastic ducts encasing them – for protection from corrosion. Research at IIT Madras showed that suitable HPGs are not available in India and have developed indigenous HPGs. The study involves various tests on characterization of cementitious materials and chemical admixtures, and the rheology of cementitious grout systems. 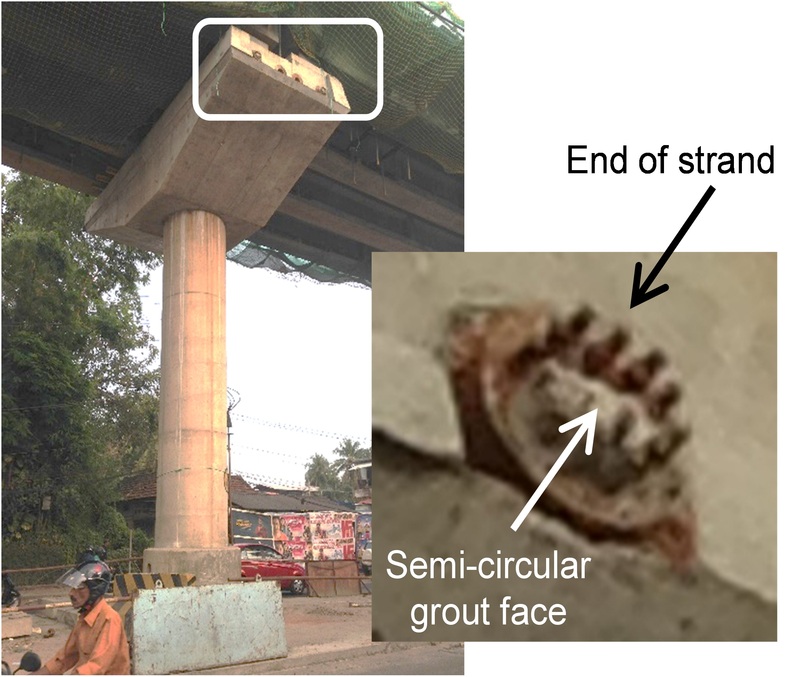 With the financial/facility support from two key industrial partners (Ultratech Cement Limited and L&T Construction), the project team will fine‑tune the HPGs and then embark on large–scale production, prototype tendon grouting tests, pilot implementation, and commercialization.